The Bush Family Refuge provides homelessness prevention services for Knox County individuals and families. This Letter of Intent seeks United Way Community Investment funds for support of the Bush Family Refuge program “Keeping the Lights On” which provides rent and utility subsidies for families at risk of becoming homeless. Local statistics compiled by the Knoxville Homeless Management Information System (Knox HMIS) suggests that about 750 households are identified as “housed but at risk of homelessness” and an additional 700 plus “stably housed” but still seeking assistance relative to their housing retention. Owned and operated by the Volunteer Ministry Center, Minvilla Manor is a permanent housing opportunity with 57 apartment units providing a moderate supportive environment for single individuals who were chronically homeless. This Letter of Intent seeks United Way Community Investment funds for Case Management and Supportive Services offered to residents of Minvilla Manor. These supportive services are “in-house” which provide assistance and empowerment to every resident with the objectives of long term tenancy, securing appropriate income, and medical/behavioral services with the outcome of the achievement of a resident’s highest level of self-sufficiency. 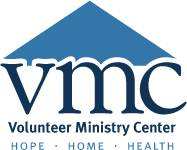 The Volunteer Ministry Center Resource Center is a case management driven program assisting individuals and families experiencing homelessness with the goal of attaining and sustaining affordable, permanent housing based upon a Housing First approach. In addition to case management, the Resource Center provides a safe and supportive daytime environment in which clients can access meals, showers, laundry, telephone and mail, computers, and classes on a variety of topics. Case management provides support and accountability throughout the process of establishing stable housing, ending when goals are achieved not after a time limit is reached.